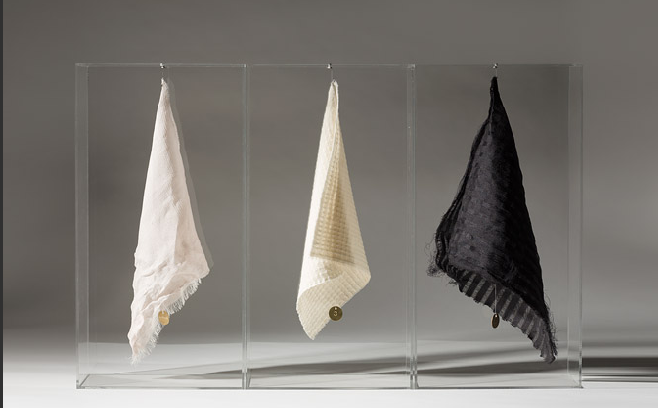 Each year, as part of the RDS National Crafts Competition, the Lillias Mitchell Award (€650) is given to a “weaver, student or postgraduate, enlarging his or her vision by research into spinning, dyeing or weaving, submitting both a written thesis and a sample of work”. Above is the 2013 winner. Huge congratuations to Kathy Mooney for her piece entitled ‘Material Matter’. See more winning craft items at this link.